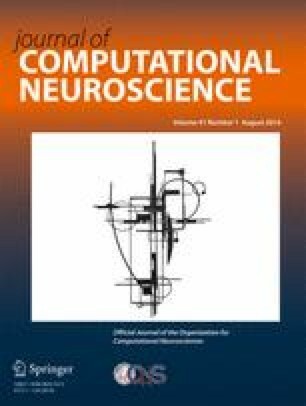 Conductance-based compartment modeling requires tuning of many parameters to fit the neuron model to target electrophysiological data. Automated parameter optimization via evolutionary algorithms (EAs) is a common approach to accomplish this task, using error functions to quantify differences between model and target. We present a three-stage EA optimization protocol for tuning ion channel conductances and kinetics in a generic neuron model with minimal manual intervention. We use the technique of Latin hypercube sampling in a new way, to choose weights for error functions automatically so that each function influences the parameter search to a similar degree. This protocol requires no specialized physiological data collection and is applicable to commonly-collected current clamp data and either single- or multi-objective optimization. We applied the protocol to two representative pyramidal neurons from layer 3 of the prefrontal cortex of rhesus monkeys, in which action potential firing rates are significantly higher in aged compared to young animals. Using an idealized dendritic topology and models with either 4 or 8 ion channels (10 or 23 free parameters respectively), we produced populations of parameter combinations fitting the target datasets in less than 80 hours of optimization each. Passive parameter differences between young and aged models were consistent with our prior results using simpler models and hand tuning. We analyzed parameter values among fits to a single neuron to facilitate refinement of the underlying model, and across fits to multiple neurons to show how our protocol will lead to predictions of parameter differences with aging in these neurons. The online version of this article (doi: 10.1007/s10827-016-0605-9) contains supplementary material, which is available to authorized users. This work was supported by the National Institutes of Health (grant numbers P01 AG000001, R01 AG025062 and R01 AG035071). Special thanks to Amit Majumdar, Subha Sivagnanam, Kenneth Yoshimoto and Ted Carnevale for development of the Neuroscience Gateway project, providing us with the HPC resource access required for this work. This work was supported by the National Institutes of Health (grant numbers P01 AG000001, R01 AG025062 and R01 AG035071).